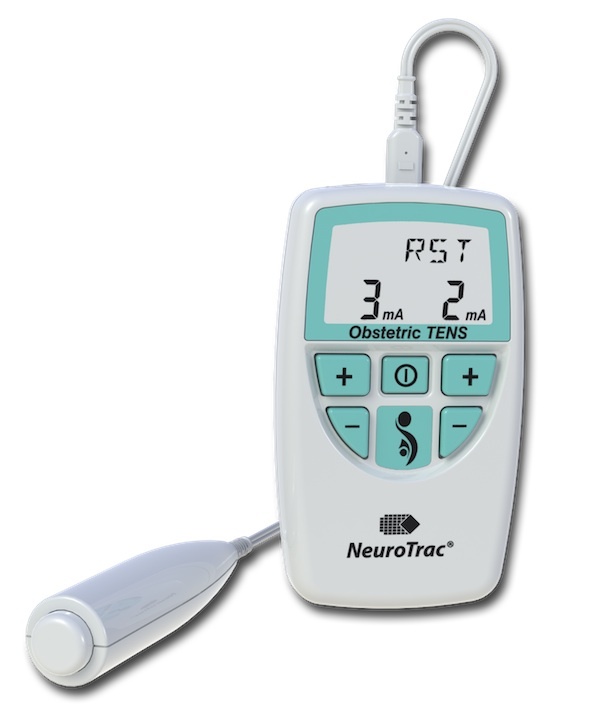 Neurotrac Labour TENS relieves the pain and discomfort associated with childbirth. 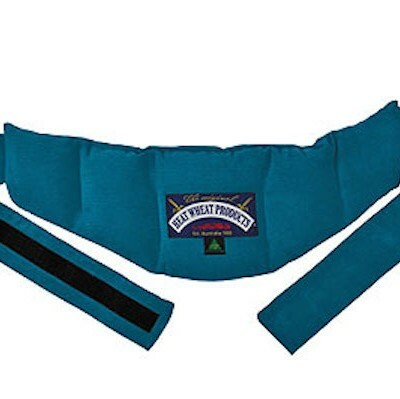 Comes with a handheld “Boost” button – a higher frequency stimulation to help during contractions. Comes with battery, pack of electrodes, two lead wires and operating manual in a convenient carry case. TENS is a simple and non-invasive method to decrease pelvic pain when in labour. 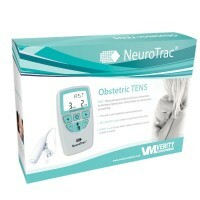 Neurotrac Labour TENS machine relieves the pain and discomfort associated with childbirth. This is a digital dual channel TENS unit, designed for use during labour and childbirth. The Neurotrac Labour TENS comes with a handheld “Boost” button – a higher frequency stimulation to help during contractions. This allows you to easily switch between Boost and Burst modes. BOOST – high frequency program to trigger the pain gate mechanism, to be used during labour contractions. BURST – used in between labour contractions. The Labour TENS Stimulator uses four long skin electrodes on the skin close to the spine and connected to the device via lead wires. The stimulation intensity is adjusted until a mild tingling sensation is felt. 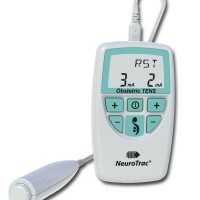 The NeuroTrac™ Obstetric TENS unit has a hand held push button control to change the stimulation mode from LOW frequency burst to HIGH frequency stimulation. The low frequency is used during rest periods (between contractions). As soon as the labour contraction is felt strongly the mode is changed to high frequency stimulation, once the contractions have subsided the mode is reverted back to low frequency burst mode stimulation. Clinical evidence suggests that to achieve the best pain relief, the stimulator should be used from the first onset of labour pain and for two to three hours after birth. 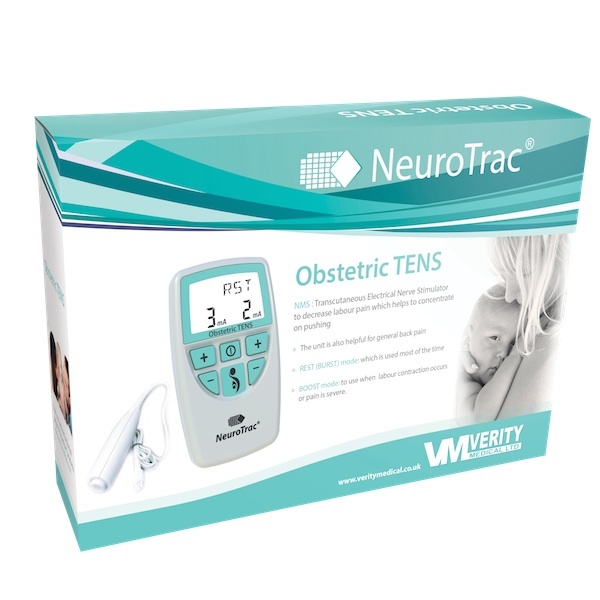 If it is found that insufficient pain relief is achieved with the obstetric TENS unit then, improved relief can be achieved by using smaller amounts of alternative analgesia to complement the Neurotrac Labour TENS unit. 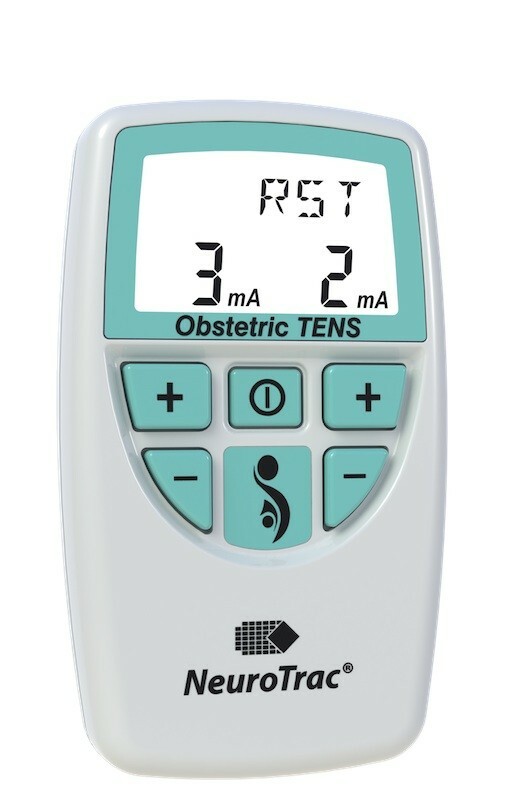 From existing evidence, Obstetric Tens units can be an effective technique for pain control in over 80% of births with no side effects. Comes with battery, pack of electrodes, two lead wires and operating manual in a convenient carry case. Amplitude: 0-80 mA into 500 Ohm load ; indication only. Actual mA will tend to be less than indicated due to electrode impedance: at 1000 Ohms load (Electrodes in poor condition) the maximum will be limited to 70 mA, at 1500 Ohms load the maximum will be limited to 65 mA. Type: Constant Current, maximum output voltage 180 Volts +10 / -30 Volts. Waveform: Asymmetrical, rectangular bi-phasic with zero DC current. Pulse width: 220μS [2% accuracy]. Pulse Rate: 90Hz (Continuous mode) [2% accuracy]. Burst mode: Bursts of 9 pulses [200 μS] at 150 Hz, repeating twice every second (Rest mode). Ramp up Time: 0.8 seconds from Rest to Boost. Time duration: continuous until switched off. Physical dimensions: 108 x 62 x 23 mm. Weight: 0.09KG without battery, 0.14KG with battery. +10 to +30 degrees Centigrade. 0-90% Humidity. -10 to +50 degrees Centigrade. 0-90% Humidity. You can find more information here about the best labour TENS. Don’t have the money right now? No problem! You can buy now and pay later – interest free and no extra charges. Just select Afterpay as your payment option in the checkout.